Following the success of 2017’s BambinO, composer Lliam Paterson is back with a brand new opera for 12 to 24-month-olds. Fox-tot! is full of imagination – a magical journey of discovery for those taking their first small steps into the big wide world. 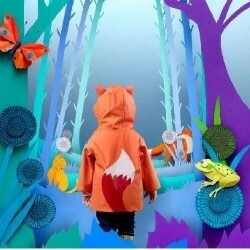 Set in a woodland world where anything can happen, this engaging mix of music and puppetry is an interactive experience for toddlers and adults to enjoy together. Paterson’s inventive score draws on everything from French Baroque to contemporary opera – all cleverly reimagined for an audience at the very start of their musical lives.